Add 1 TBS of the Fried Rice Packet and 2 TBS Soy Sauce. Mix well. This entry was posted in Recipes and tagged clean eating, cooking, food, foodie, health, healthy, healthy meal, low calorie, low calorie meal, meal planning, nutrition, recipe, weight loss. Bookmark the permalink. Yummmmmm!! This is something I would totally make! Let us know if you make it and how it turns out! I have never tried quinoa before. What does it taste like? Hmm.. well its kind of hard to explain. Kind of like rice, but moister (is that even a word?) I don’t know if that even makes sense. 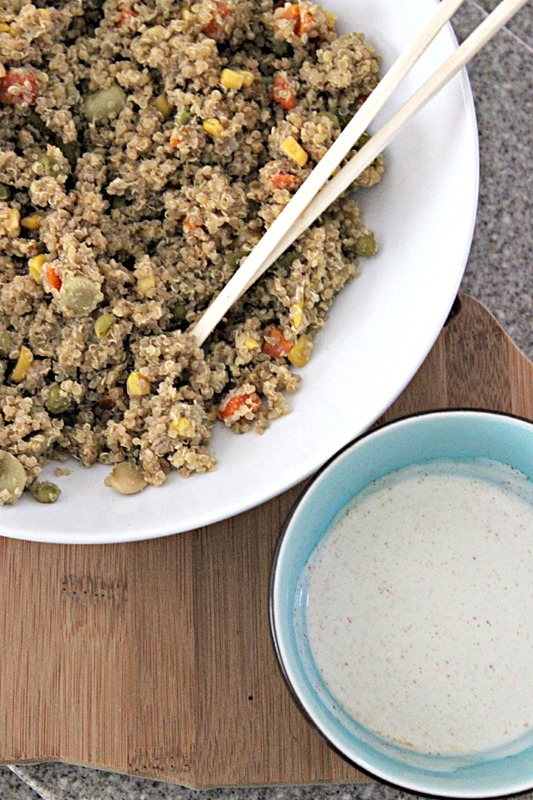 Make sure to wash the quinoa before you cook it or it will have a slightly bitter taste. It really doesn’t taste like much. Like rice, but different. I hope that helps!